Shore Tour Includes: Round trip transportation to and from the dock, entrance tickets to Naval museum, services of private tour guide, free time to explore on your own. Note: Entrance tickets to to sites you decide to visit en route. 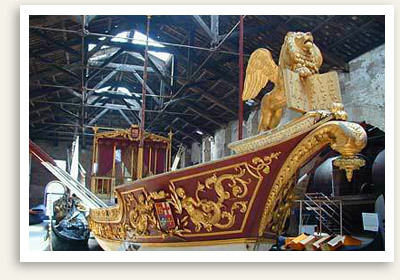 This exciting private shore excursion in Venice starts with a tour Venice’s Naval Museum. In the ancient granaries used by the Republic of Venice, you can admire the original models of boats used by Venetian merchants and military fleets. You can also see the several mementoes of the Arsenal, the powerful military shipyard of Venice, and learn about the past naval battles of the Venetian forces. You will next travel along the fondamenta (a Venetian term for a long street running along a canal or pier) of the Arsenal to see the church and school of San Martino. Eventually you will reach the school of San Giorgio degli Schiavoni, whose history and art are tied to the important Dalmatian community of Venice. You can view masterpieces by Vittore Carpaccio inside the school. On this guided tour of Venice, you can also find evidence of the presence of another important foreign community in Venice: the Greeks. You can opt to visit the Greek Orthodox Church and wonderful museum featuring post-Byzantine icons. Lunch and free time follows before proceeding with exploring San Marco district with your guide. On this private tour of Venice, you will also see three of the city’s most important sights. 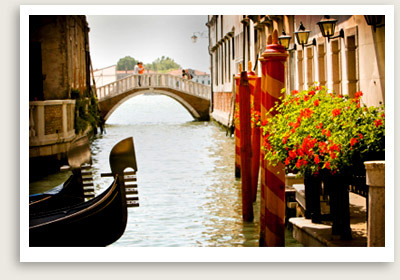 Your licensed tour guide will pick you up at the dock and take you to Venice, in St. Mark’s Square. You will see many of its historical and artistic treasures dating from antiquity: the Cathedral with its precious mosaics; the Doge’s Palace with its well-known Bridge of Sighs; the Procuratie palaces and the Napoleonic Wing; and the Clock Tower, the Campanile and the Marciana National Library. NOTE: This private shore excursion can be fully customized to meet your touring goals and desired activities.